Mike Stevenson emerges from a cloud of brewhouse steam to greet us, vapors emanating from the keg washing station where he was working. His tall physique silhouetted by the bright light of a March morning streaming in through the huge warehouse door. 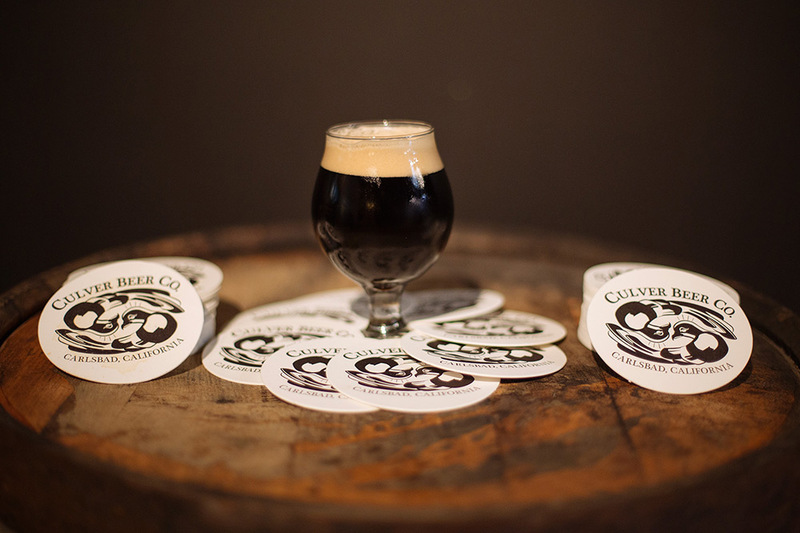 Mike is the head brewer of Culver Beer Company, a new Carlsbad brewery he co-founded. “Welcome!” Mike smiled, offering his hand for a shake. Behind him, gleaming steel vessels stretched up to the ceiling. Freshly sanitized kegs were neatly stacked nearby, and sacks of barley and miscellaneous brewing components were stored at the ready. Also at the ready was Culver’s custom-built 12.5 barrel brewing system with repurposed dairy equipment found on eBay. 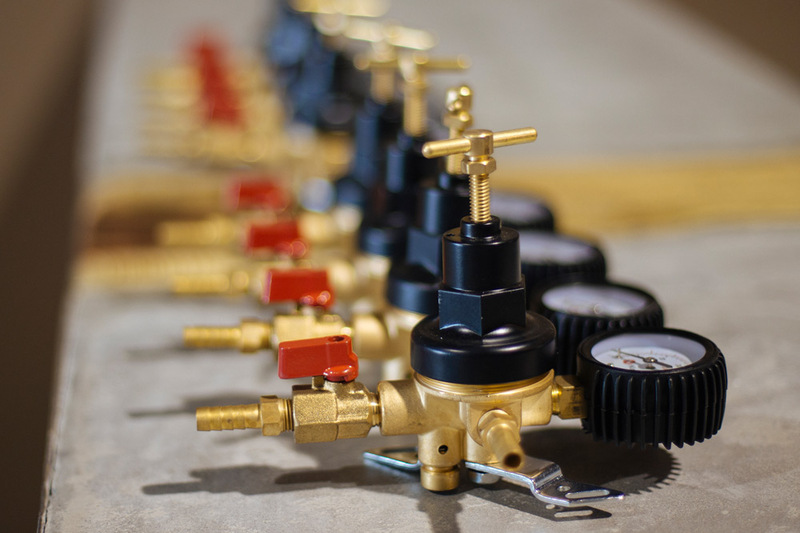 The hand-built system includes a mash tun that looks like a lunar lander. As Mike showed us around the brewhouse, the fresh smells of grains and hops were amazing. Mike has a warm, generous temperament, and a big smile that flashes often through a beautiful bushy beard. It is obvious he has a passion for making craft beer. Talking while watching him work, we were aware of his intense mental capacity. “He is the brains behind the beer,” his partner and brewery president, Ben Fairweather said, joining us. 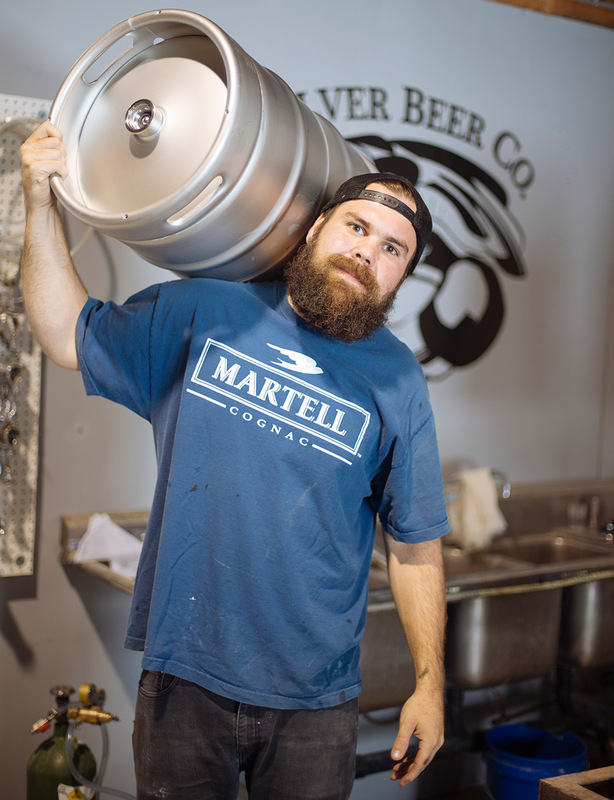 Mike Stevenson - Head Brewer, Culver Beer Co.
Mike and Ben are natives of San Diego’s north county. Both men grew up there, and both eventually attended Cal State San Marcos where they were classmates. Ben graduated with a degree in Business Administration, while Mike got his degree in Economics. Both of them have roots in homebrewing. Then one day they both went to Coachella where mutual friends formally introduced them. While basking in the festival’s music and art, and cooling off with some craft beers, they decided to team up and start a brewing company. Originally, the company was going to be Palomar Brewing Company, but they had to change the name. Luckily, they already had a logo designed with twin doves. And since “culver” was the Middle English word for dove, and “Culver” is the occupation of a bird keeper in Europe, they decided to use it for the new name. “The actual process of opening the brewery started in January 2015,” Ben tells us, “but once permits were approved, construction took only four months. We built it ourselves.” Culver’s brewhouse and French farmhouse-style tasting room is located in a sleek Carlsbad industrial park. It is truly a hand-built brewery producing hand-crafted beers. 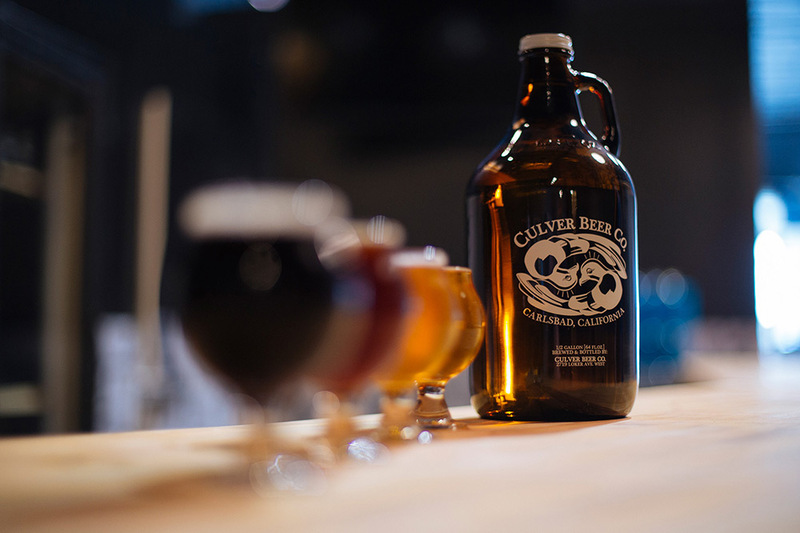 Some beers brewed at Culver are from homebrew recipes developed while Ben and Mike were students at San Marcos. However, they will also focus on continental beers such as Pilseners, Lagers, and Porters, influenced by Mike’s days of trekking around Belgium. 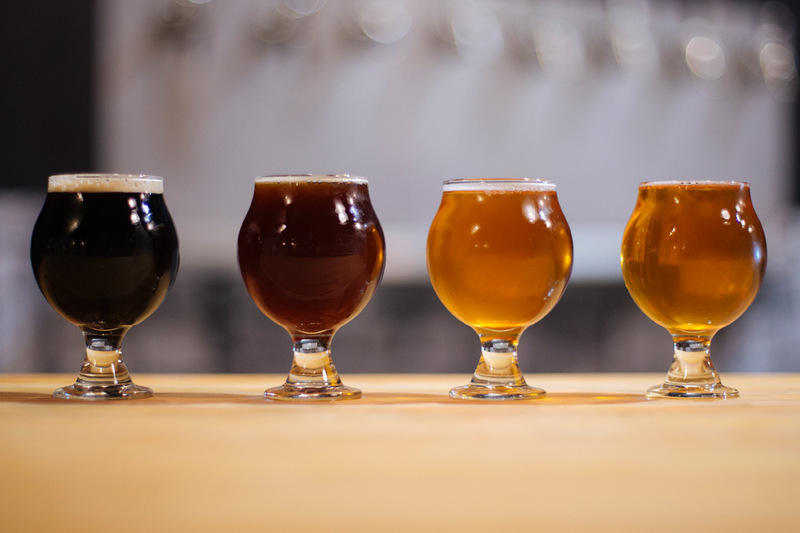 Mike picked up a taste for flavorful Belgian-style beers in Europe. During our visit, we had the pleasure of sampling three beers. All were well balanced and had good character in both aroma and flavor. To us, Amaretto Red is exemplary of a classic Irish Red with a hint of Amaretto. Its smooth texture and clean, dry finish makes it very nice to drink; perfect alone or for pairing with a dessert. 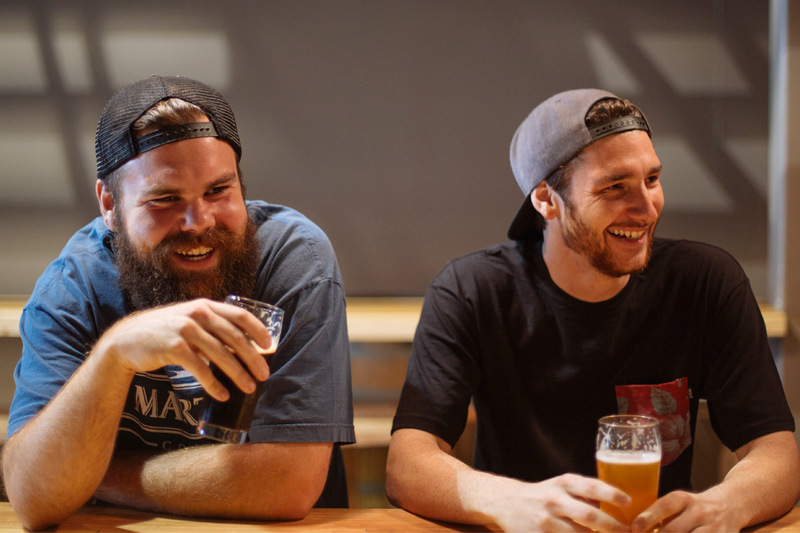 – Ben Fairweather & Mike Stevenson, Culver Beer Co.
We really liked this beer. It has a bright, clear gold color, and good lacing. Its soft body reminded us of a Tripel, but Tiger Ride is not as bitter. Nonetheless, the bitterness is pleasing, and its clean finish makes it easy to drink. We think Strange Ways is an excellent example of a Belgian-style Farmhouse ale with American notes. We liked the light color with slight haze, orangey, lemony, peppery aromas and flavors, the soft body, and clean, dry finish. The overall balance of smooth maltiness, hop flavor, and bitterness is quite refreshing. Based on our visit to the brewery and tasting of their beers, we look forward to sampling more of Culver’s beer styles as they become available. Including a planned Pilsener, rare in San Diego County. 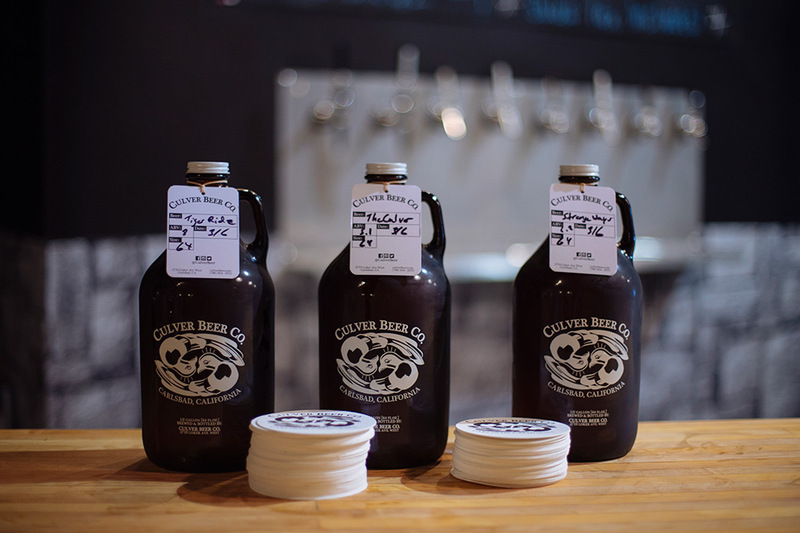 Impressed by Culver Beer Company, we recommend them. They are already brewing beer to quench the thirst of well-informed beer travelers navigating the Hops Highway. Currently, the brewery is in “soft-open” mode, but visitors are welcome. Go to their website or follow them on Facebook to stay up-to-date on their Grand Opening scheduled for mid-April. 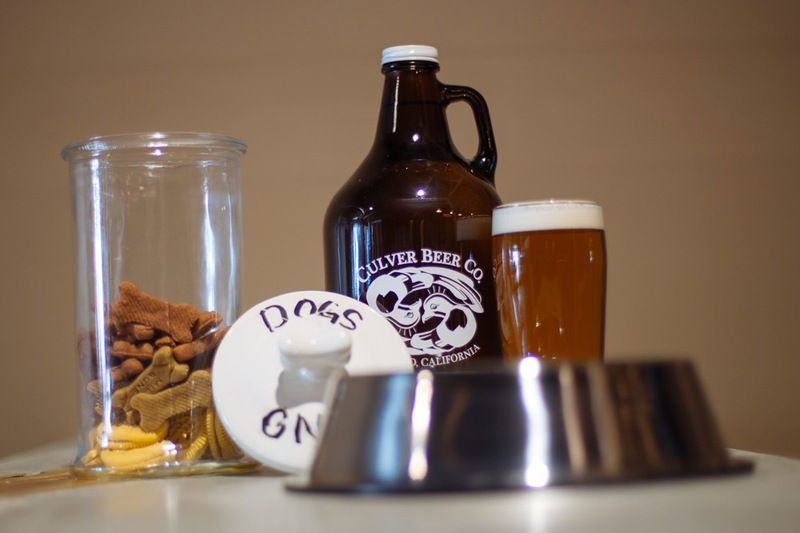 The brewery is both dog and kid friendly.